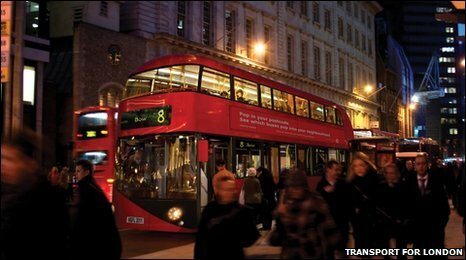 Final designs for London’s “new Routemaster bus” have been unveiled but why do we continue to try to recreate the past? It was in 1956, the year of the Suez crisis and Elvis Presley’s first UK hit, that the Routemaster, with its hop-on, hop-off platform and a conductor, began to replace the capital’s electric trolleybuses. It was considerably ahead of its time. Built by AEC in Southall and Park Royal, it was largely designed by a man with an intimate understanding of the job it had to do, the then LT vehicle engineering manager, Colin Curtis. It had semi-automatic transmission, power steering, supple suspension and still carries more passengers than most modern buses, despite its lighter, aluminium construction. Crucially, perhaps, it was simple to maintain and cheap to run. Throughout the 1970s, new double-decker models aimed at dispensing with conductors came into service. Hundreds of Routemasters were sold to other operators around Britain and the world. But when the new London buses were beset by severe mechanical problems and many had to be withdrawn, the city’s remaining Routemasters were granted a stay of execution. In 1994, they survived privatisation and in the new Millennium, 600 of them, only a few dozen of them owned by London Transport, were still trundling through the streets of London. In December 2005 the Routemaster was finally withdrawn from general service but it is still used on two heritage routes in London. In July 2008 a competition was launched by London Mayor Boris Johnson to design a new Routemaster bus for the capital – it attracted 700 entries. Warwickshire-based sports car maker Aston Martin, along with architects Foster and Partners, won the £25,000 prize jointly with Wiltshire bus maker Capoco Design. 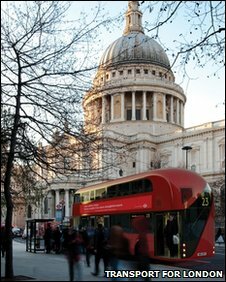 The contract for the design and build of the new bus for London was awarded to Wrightbus in January 2010 and contains some design elements of the competition winning bid. However, Foster and Partners are not involved in the Wrightbus deal. Wrightbus engineers are working on a static mock up of the bus to be completed later this year, with the first prototype to be delivered late next year. The new buses will enter service from early 2012. Although the city already had a private bike-sharing program, the government of the Mexican capital has recently launched the official Ecobici. The initial phase includes 85 stations across the city and over 1,000 bikes. More inside.It was about time the city launched this program, which was announced a while ago but took much public work to improve bike infrastructure. Since last February 17, the system is up and running. Its goal is to reduce the number of vehicles that go through the city everyday (over 5 million), while recovering public space, reducing pollution, and improving life quality. As mentioned, the initial phase includes 1,000 bikes in 85 stations (although so far only 50 stations are fully functional), which can be taken for 30 minutes a trip with an annual cost of 300 pesos (about 23 US dollars). Registration is all made online through the system’s website. Stations are located at about 300 meters from each other, in areas like colonias Cuauhtémoc, Juárez,Roma Norte, Hipódromo Condesa and Condesa. It is expected that about 24 thousand people will make use of the system. As you can see from the photos, the official Mexican take on bike-sharing is very similar to those of Barcelona and DC (btw, why are all of the bikes red?). After only a few days of its launch, about 1,000 people have already registered to the system, according to Milenio. Named after his Pentecostal preacher father, Marvin Gay Sr. (the “e” was added later when he began his recording career), Gaye began his singing life in church. His smooth yet strong voice helped raise the spirits of his fellow parishioners. Over time, Gaye became interested in the idea of being a professional singer. He eventually embarked on an incredibly successful journey. In just a matter of years, Marvin Gaye had become a star. By 1968, unfortunately, Gaye experienced the first of many tragedies. While on stage in Cleveland, Ohio, his singing partner, 26-year-old Tammi Terrell, passed out. 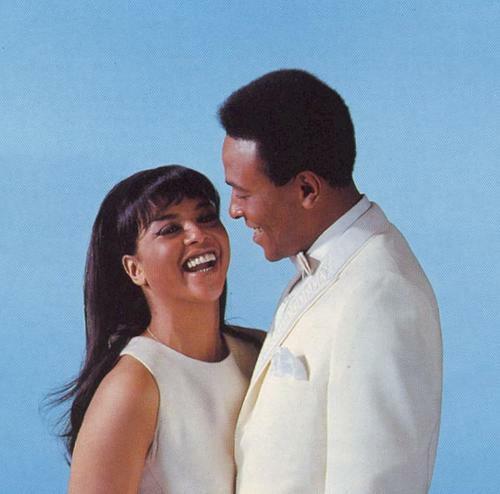 She had been stricken with a deadly brain tumor and literally died on stage, in Gaye’s arms. Though their relationship was strictly platonic, Gaye felt an immense love for Terrell and was devastated by her untimely death. To escape his pain, he moved to London and went into seclusion. Eventually, Motown and Gordy came calling and reminded Gaye of his contractual obligation to release new material. He responded with his first entirely self-penned and self-produced album,What’s Going On? At first, the executives at Motown rejected Gaye’s submission. They finally relented, however, and What’s Going On? 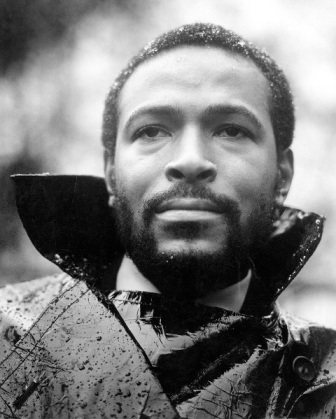 went on to become the best-selling Marvin Gaye album, as well as Motown’s best-selling record of all time. Gaye’s concept album dissected the ills of modern society — racial strife, environmental issues and war — and turned them into the most powerful, heartfelt music of his career. The title track, “Mercy Mercy Me (The Ecology),” and “Inner City Blues (Make Me Wanna Holler)” would open the eyes of an entire generation with their dire pleas for the world to take better care of itself. His heartflet music would open the eyes of an entire generation with its dire pleas for the world to take better care of itself. Taking care of himself was another story. 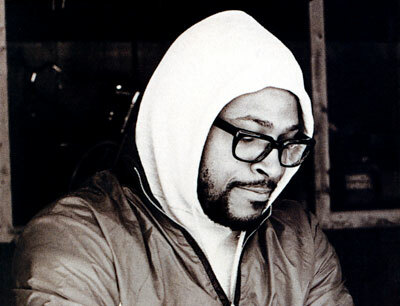 After Terrell’s death, Gaye went on a live performance hiatus. During that time, he became addicted to numerous drugs. His favorite was cocaine. Once, while visiting Maui, Gaye tried to kill himself by swallowing an entire ounce of pure cocaine. By the 1980s, Gaye had kicked his addiction to drugs, dealt with two divorces, and begun to get his career back on track. After cleaning up, he returned to the studio for the first time in years and recorded the supercharged, modern hit “Sexual Healing.” The song and album quickly rose to the top of the Billboardcharts. Marvin Gaye was back in business. To capitalize on his creative and chart-topping rebirth, CBS, his new record label, decided that Marvin should get out on the road to promote the album. Thus began a year-long tour playing a gig almost every night. It was not long before he was exhausted, so he turned again to drugs. The combination of drug abuse and exhaustion led to a severe state of paranoia for Gaye. He began to believe he was going to be shot. As a result, he hired four police bodyguards to stand on stage during his performances for protection. Luckily, Gaye made it to the end of the Sexual Healing tour with no major catastrophes. He did, however, remain exhausted. Despite his lethargic state, Gaye was required to release another album with CBS. His tour manager, Andre White, told him to get some rest, preferably back in Europe, before he began a new recording session. Gaye insisted on staying in Los Angeles with his ailing mother. Although White did not approve of Gaye’s decision, he relented: “At least your mother and father won’t shoot you,” White said. Gaye moved in with his parents in an old Victorian mansion in South Central Los Angeles that he bought for them in the 1970s. His stay there was not pleasant. Gaye’s relationship with his father had always been less than stellar. Indeed, it was downright brutal. When Marvin Jr. was young, his father used to beat him viciously. Marvin Jr. claimed his father had beaten him so badly he had bruises over his entire body. For whatever reason, Marvin Jr. never seemed to measure up in his father’s eyes. Many believe it stemmed from his leaving the world of the church for success in the secular music business. Marvin’s mother said the hatred began before then. She believed Marvin Sr. did not ever want his son to be born. For three years father and son fought with each other. It began to take its toll on Marvin Jr. To deal with the pain and aggravation, he started using cocaine again. Oftentimes, he contemplated suicide. He would also, purposefully, confront his father just to irritate him. This time, Marvin Jr. jumped in. Marvin Sr. began to yell at his son. Marvin Jr. allegedly punched his father. Marvin Sr. retreated into his bedroom, picked up a gun out of his dresser, and returned to Marvin Jr.’s room. Marvin Sr. held the gun up towards Marvin Jr., his own son, and pulled the trigger. Marvin Jr. did not even flinch as the first bullet hit him directly in the shoulder. 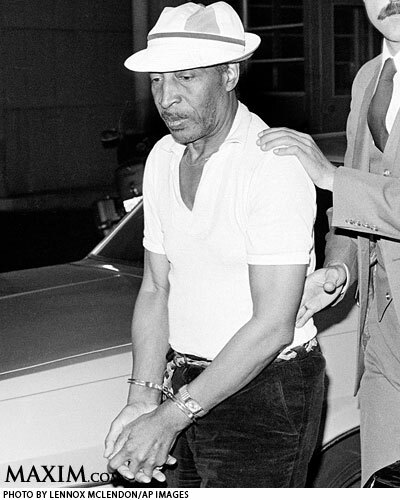 When Marvin Sr. saw no reaction from Marvin Jr., he shot him again, squarely in the chest. Marvin Gaye Jr. slumped over on the floor in his bedroom of his parents’ house. He was dead. He would have been 45 years old the next day. Marvin Gay Sr. was arrested and convicted of killing son. The 70-year-old father was originally charged with murder but was allowed to plea-bargain to a six-year suspended sentence. He eventually died in an Inglewood retirement center in 1998. Rhiana Maidenberg listened to an audio book on her mobile phone while watching television during a workout in San Francisco. SAN FRANCISCO — It’s 1 p.m. on a Thursday and Dianne Bates, 40, juggles three screens. She listens to a few songs on her iPod, then taps out a quick e-mail on her iPhone and turns her attention to the high-definition television. As Ms. Bates multitasks, she is also churning her legs in fast loops on an elliptical machine in a downtown fitness center. She is in good company. In gyms and elsewhere, people use phones and other electronic devices to get work done — and as a reliable antidote to boredom. Ms. Bates, for example, might be clearer-headed if she went for a run outside, away from her devices, research suggests. Even though people feel entertained, even relaxed, when they multitask while exercising, or pass a moment at the bus stop by catching a quick video clip, they might be taxing their brains, scientists say. Regardless, there is now a whole industry of mobile software developers competing to help people scratch the entertainment itch. Flurry, a company that tracks the use of apps, has found that mobile games are typically played for 6.3 minutes, but that many are played for much shorter intervals. One popular game that involves stacking blocks gets played for 2.2 minutes on average. Today’s game makers are trying to fill small bits of free time, said Sebastien de Halleux, a co-founder of PlayFish, a game company owned by the industry giant Electronic Arts. Many business people, of course, have good reason to be constantly checking their phones. But this can take a mental toll. Henry Chen, 26, a self-employed auto mechanic in San Francisco, has mixed feelings about his BlackBerry habits. “I check it a lot, whenever there is downtime,” Mr. Chen said. Moments earlier, he was texting with a friend while he stood in line at a bagel shop; he stopped only when the woman behind the counter interrupted him to ask for his order. Mr. Chen, who recently started his business, doesn’t want to miss a potential customer. Yet he says that since he upgraded his phone a year ago to a feature-rich BlackBerry, he can feel stressed out by what he described as internal pressure to constantly stay in contact. Crossing the street from the grocery store to his car, David Alvarado pushed his 2-year-old daughter in a cart filled with shopping bags, his phone pressed to his ear. He was talking to a colleague about work scheduling, noting that he wanted to steal a moment to make the call between paying for the groceries and driving. “I wanted to take advantage of the little gap,” said Mr. Alvarado, 30, a facilities manager at a community center. For many such people, the little digital asides come on top of heavy use of computers during the day. 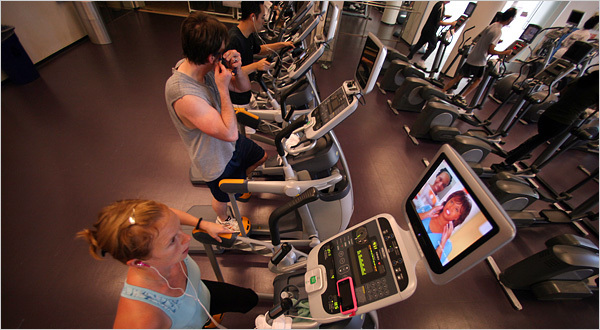 Take Ms. Bates, the exercising multitasker at the expansive Bakar Fitness and Recreation Center. She wakes up and peeks at her iPhone before she gets out of bed. At her job in advertising, she spends all day in front of her laptop. But, far from wanting a break from screens when she exercises, she says she couldn’t possibly spend 55 minutes on the elliptical machine without “lots of things to do.” This includes relentless channel surfing. Of the 70 cardio machines on the main floor at Bakar Fitness, 67 have televisions attached. Most of them also have iPod docks and displays showing workout performance, and a few have games, like a rope-climbing machine that shows an animated character climbing the rope while the live human does so too. A few months ago, the cable TV went out and some patrons were apoplectic. “It was an uproar. People said: ‘That’s what we’re paying for,’ ” said Leeane Jensen, 28, the fitness manager. At least one exerciser has a different take. Two stories up from the main floor, Peter Colley, 23, churns away on one of the several dozen elliptical machines without a TV. Instead, they are bathed in sunlight, looking out onto the pool and palm trees. A version of this article appeared in print on August 25, 2010, on page B1 of the New York edition. When I was about 10 or eleven, my oldest cousin and I used to make mudcakes in grandma’s backyard. Then, right before they went dry, we used them as ammo to start a war – we threw the mudcakes at each other! Read the following interview. Then click on the links below to listen to a review of the seventh, and last, Harry Potter book – ‘Harry Potter and the Deathly Hallows’ by JK Rowling. JK Rowling’s had loads to do in the run up to the release of the final book in the Harry Potter series.She admitted on her website that she was feeling nervous about the launch, but just moments before she gave a moonlight reading in London, she took time out for a quick chat with Newsround’s Lizo. It’s been an incredible 10-year journey. What’s it like reaching the end of all of this? JK: I can’t tell you. I’ve never been so excited about a launch. I’m really emotional as well. I could cry. I’m very happy tonight; this is my favourite book of the series, so that is the best way to end this. Whether people like it or not, I really like it. As a writer, when you strip it all back, that’s what it’s about. How does tonight compare to some of the other highlights of the last 10 years of Harry Potter? JK: Tonight has got to be up there. It’s going to be one of my eternal memories of the whole thing. Today’s really been a day to look back and remember how it used to be. I’ve had many conversations with people like my American editor in New York. We’ve just been reminiscing about what it’s been like over the past 10 years. We’ve had a week full of people leaking things that they say are spoilers and the incredible secrecy that’s built up around it. JK: I think the two things feed off each other. We tried to protect the stories so that children particularly could reach them and enjoy the pleasure of reading the book. Therefore, inevitably, there are people who want to try and break the embargo. You become locked into this horrible situation. I’m so grateful that nearly everyone kept to the embargo coz I’ve just sat in the middle of all these children and they’re all saying “what happens, what happens?” and they don’t know. That’s miraculous really! When will we be hearing from you again? JK: Well, I’m sure you will hear from me again but at the moment I’m saying, and I mean it, I really would like to take a break for a while and I think I probably need to because this has been so massive. I probably need not to do it for a while and get some perspective back into life. Alumnos de los cursos de comprensión de lectura del CLE – FES Aragón sean todos bienvenidos. A continuación, encontrarán los enlaces a los materiales de lectura para la primer semana de nuestros cursos. No olviden dejar algún comentario. Es necesario conocer tu opinión para mejorar este blog. ‘This better bloody work or I am in huge trouble,’ the producer says as he prepares to launch the high-stakes ‘The X Factor.’ This time, the harshest critic sticks his own neck out. The next ‘Idol’ or idle threat? Simon Cowell backstage at ‘The X Factor’ auditioning rounds in Seattle. Simon Cowell had a small request regarding his new show, “The X Factor.” Concerned that the World Series would interfere with the program’s roll-out, he asked network executives if they might reschedule the event. “I asked them if they would change it by a couple of days,” he admits. Executives at Fox Broadcasting, which will air both, said no. With his coming fall competition show “The X Factor,” it will be Simon Cowell’s turn to be judged. Last year, he walked away from an “American Idol” contract that paid him about $12,000 per minute of air time, WSJ’s Amy Chozick explains. Such grandiose suggestions are common for Mr. Cowell, whose role as the face of “American Idol” made it the No. 1 show on TV for seven seasons and transformed him into one of TV’s highest-paid personalities, with a net worth of as much as $300 million. Mr. Cowell’s new show now pits him against the show he exited, which also airs on Fox. An opening salvo was fired last Tuesday with an elaborate promo that aired during baseball’s All-Star game. 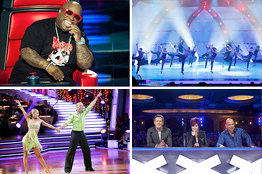 The spot ridiculed “Idol” and other upbeat reality shows, opening with “X Factor” judges warmly encouraging mediocre contestants as they file into a hotel ballroom with bad carpet. “I love your spirit,” they keep saying blandly. As if to show how defanged he is in this format, Mr. Cowell is dressed in an uncharacteristic pink sweater. Then he awakens—it’s been a nightmare—and the pyrotechnics of the real “X Factor” take over the screen amid cheering crowds. Vote: What’s Your Favorite Talent Competition? Mr. Cowell’s vision is brash, campy and conflict-driven, featuring lavish, concert-style live auditions across the country. As usual, he will not sugarcoat his appraisals of contestants. Last month, in front of a live audience of more than 4,000 people, he told a group of 12-year-old girls that their voices sounded like cats being run over on the freeway. As a TV genre, competition reality shows are one of the last redoubts of truly mass-market television, able to sweep over all segments of the audience, fuel water-cooler chatter and make advertisers swoon as the medium did in the heyday of broadcast television. Rival network executives say privately that Mr. Cowell doesn’t have the same dominance over the genre he once had, and that “X Factor” could end up an expensive bust. ABC’s “Dancing With the Stars” attracts almost as many viewers as “Idol.” NBC’s “The Voice” averaged 11.7 million viewers per episode, reviving that network’s fortunes. NBC will bring back “The Sing-Off,” which features a capella groups, this fall. “American Idol” without Mr. Cowell attracted an average of 23 million viewers who watched new judges Jennifer Lopez and Steven Tyler, down from its peak of 31 million in 2006, but still the No. 1 show on TV. Nor have all of Mr. Cowell’s new efforts been successful. In 2006, “American Inventor,” his reality show on ABC in which inventors competed for the chance to launch nutty ideas, lasted just two seasons. “Celebrity Duets,” a sing-off show, aired for only one. One afternoon last month, Mr. Cowell left his 10,000-square-foot suite—with a Steinway piano and rooftop pool—at the Setai South Beach Hotel, waved to a few paparazzi and stepped into his chauffeured Escalade. Mr. Cowell, 51 years old, sipped on his specially formulated antiaging smoothie, which he drinks daily, made with imported lingonberry, acerola berry, chokeberry and aronia juice flown in specially from exotic locations. 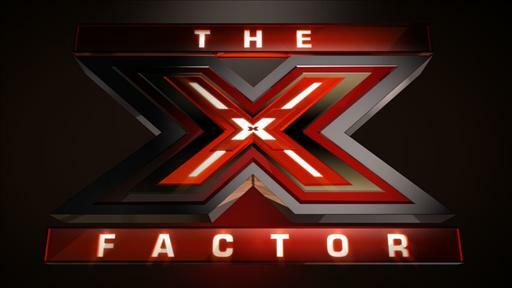 After Miami, an aide would arrange for the fruit to arrive in Dallas, the location of the next “X Factor” audition. “This [show] better bloody work or I am in huge trouble,'” Mr. Cowell said as he rode down Collins Avenue, blowing smoke from his Kool cigarettes out the open window. When “Idol” first premiered in 2002 as a summer reality show adapted from the British series “Pop Idol,” some Fox executives didn’t want Mr. Cowell. They argued that his abrasive style and snarky antics would turn off young girls, the show’s target demographic, says Mike Darnell, Fox’s president of alternative entertainment. In 2005, Fox agreed to pay Mr. Cowell just under $36 million a year with the promise that he would not launch “X Factor” in the U.S. for five years. Last year when that contract expired, Fox (which, like The Wall Street Journal, is owned by News Corp.) was so worried “Idol” wouldn’t survive without Mr. Cowell that it offered him $130 million to launch “X Factor” in the fall and remain on “Idol” in the spring. He turned the offer down. “I didn’t want to be a professional judge, do that show, do this show,” Mr. Cowell says. Kelly Clarkson, Jennifer Hudson and Carrie Underwood got their start on this show, which has topped ratings for eight seasons. Last season, ‘Idol’ took a softer approach with new judges Jennifer Lopez and Steven Tyler. 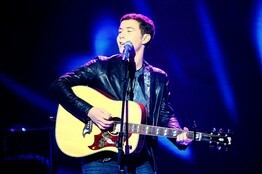 Above, recent winner Scotty McCreery. NBC executives call ‘The Voice,’ based on a Dutch series, a ‘rare gift from God’ that helped put the struggling network back in the prime-time game. Christina Aguilera, Cee Lo Green, Blake Shelton and Adam Levine sit on swivel chairs with their backs to contestants so they can judge singing purely on ‘the voice.’ Then they coach teams. The first season’s winner, Javier Colon, got $100,000 and a recording contract with Universal Republic. No one thought the BBC ballroom-dancing competition show ‘Strictly Come Dancing’ would work in the U.S. But the adaptation that pairs B-list (and sometimes C- and D-list) celebrities with professional dancers draws 19 million viewers each night, mostly on the elderly side. Bristol Palin didn’t win, but she came close in season 11, with her mother cheering in the front row. Mr. Cowell’s cheeky jabs started at age 4, when he told his mother, as she came downstairs dressed for a formal event, that she looked like a poodle. The two are close: When he’s in London, they regularly have lunch. “I’ve always said to Simon, ‘The only constant love in your life other than your mother has been yourself,’ ” says CNN’s Piers Morgan, a close friend who was on Mr. Cowell’s “Britain’s Got Talent” and judges “America’s Got Talent,” in its sixth season on NBC. Mr. Cowell started in the mailroom at EMI Music, where his father was a prominent executive. He worked his way up, moving into music publishing and being involved with a few hit records. But in 1990 at age 30, he got into debt working for failing music ventures and had to move back in with his parents in a leafy estate just north of London. He then got a job with record company BMG, where he had a string of mass-market hits including albums from the Teletubbies, the Mighty Morphin Power Rangers and a World Wrestling Federation album that sold 1.5 million copies in 1993. His current company, London- and L.A.-based Syco Entertainment (pronounced “psycho”), a joint venture with Sony Music Entertainment, continues to produce music. His artists include the Irish boy band Westlife, pop quartet Il Divo and U.K. “X Factor” winners like Leona Lewis. In 2001, British producer Simon Fuller, who managed the Spice Girls, created “Pop Idol” and asked Mr. Cowell if he wanted to be a judge. 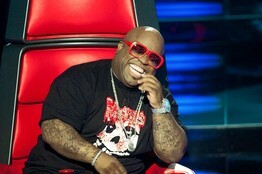 Uninterested in being a TV star, he said yes on the condition that he could sign the winners to his record label. The next year they brought the show to the U.S. as “American Idol” and Mr. Cowell, now a star, launched “The X Factor” in the U.K. Mr. Fuller sued him over copyright infringement in 2004 in an imbroglio the press called “Clash of the Simons.” They later settled. In 2006 Mr. Cowell launched “America’s Got Talent,” in the U.S., featuring more than just singing. “Britain’s Got Talent” came the next year and led to the Susan Boyle phenomenon in 2009. The live auditions and flamboyance of “X Factor” aren’t the only things that make it different from “Idol.” The new show allows anyone over the age of 12 to compete alone or in vocal groups; “Idol” hopefuls must be 15 to 28 years old and soloists. Each judge is assigned one of four groups—young female solo artists, young male soloists, older contestants and vocal groups. They coach their teams and fight to shape them into winners. Viewers vote and judges decide who goes home out of the bottom contestants, a setup designed to spark debates among judges fighting to keep their protégés. The show is supposed to target younger viewers than “Idol,” which now has an average age of 48.2, up from 31.7 in 2002, according to Nielsen Co. The show also strives to be the stuff of tabloid fodder in a rougher, raunchier way than the more wholesome “Idol.” In May, Mr. Cowell replaced British pop singer Cheryl Cole with Ms. Scherzinger, sparking gossip that the shake-up was just a marketing ploy. (Andrew Llinares, an executive producer, denies this.) But controversy is welcome. “On the British version one of the contestants ended up being a prostitute [the contestant has denied this]. We wouldn’t shy away from that material,” Fox’s reality chief Mr. Darnell says. “Then I got an idea,” Mr. Cowell said. “I wanted to shoot the auditions in an arena, like concerts,” he says. Ten days later, Mr. Cowell walked out to 5,000 screaming fans at a packed London exhibition center for the first live “X Factor” audition. “That’s when it crossed my mind that this show is absolutely coming to America,” he says. In the U.K., for its 2010 finale, “The X Factor” drew 21 million viewers, with a 65% audience share. In London last fall, Mr. Cowell sat down with executives from PepsiCo Inc. and talked them into signing on with a $60 million sponsorship. That includes judges sipping Pepsi products, Pepsi at each live audition and drink packages with interactive logos that will send “X Factor” updates to mobile devices. “X Factor” is “set up in a way that’s not purely about the music industry or a talent competition. It’s designed to be part of a broader cultural experience,” says Frank Cooper, chief consumer engagement officer at PepsiCo. Executives play down the idea of a rivalry between “X Factor” and “Idol.” One will air in the fall, the other starts in January. “From a brand standpoint, ‘X Factor’ is a fast car. It’s a Ferrari. ‘Idol’ is the Bentley,” says Cecile Frot-Coutaz, chief executive of FremantleMedia North America, which produces both shows. Mr. Cowell owns both types of cars. Mr. Reid, who during his career has signed Mariah Carey, Rihanna, Kanye West and Justin Bieber, among others, compares Mr. Cowell to Wal-Mart founder Sam Walton. His ability to identify what the masses want has to do with his own middlebrow tastes. “We won’t see Ludacris on a show like this. We won’t see Jay-Z on a show like this. We won’t see Kanye West on a show like this,” Mr. Reid says. Years of sitting at a judging table determining a person’s fate with a sharp-tongued critique has given Mr. Cowell a Messiah complex, Ms. Abdul says. At the Miami audition at the BankUnited Center in Coral Gables, Mr. Cowell asked a 32-year-old contestant why her singing career had never taken off. She replied that God didn’t think it was her time, that the Lord wanted her to meet him. “I’m looking at her and over at Simon thinking, ‘Well, meet God,’ ” Ms. Abdul says. Just before a round of live auditions at the Prudential Center in Newark, N.J., Mr. Cowell, in a private backstage room, sunk into a black leather chair surrounded by executives from Pepsi, Sony and Fox. Ms. Cole had just been fired, sparking backstage insecurity. It was the kind of moment that the scared, aspiring singers who go on stage and perform for him experience. “It felt like there were 250 people in that room and every one of them was petrified. I thought to myself, ‘This is either going to work or it’s not, and there’s nothing I can do about it,’ ” he says. The wobble didn’t last long. A few minutes later the crowd of nearly 5,000 was chanting “Simon!” He was back on the judging panel next to Ms. Abdul, and back in form. He asked a 58-year-old woman why she’s divorced, then ordered a duo of 14-year-olds to get new haircuts. “I told them, ‘Fire your parents,’ ” he said later.